After receiving a diagnostic ultrasound from the team at Central Florida Vein and Vascular Center, our specialists may recommend Venaseal treatment at one of our three locations: Ocoee, Kissimmee, or The Villages. This new, minimally-invasive procedure uses medical glue to seal varicose veins. Here’s what you can expect from this treatment. During Venaseal, a specialist will use an ultrasound to map out the varicose veins. After using local anesthesia, they’ll insert a small catheter into the leg. The Venaseal medical glue will be applied, causing the varicose vein to seal shut, which causes no harm to blood flow as blood is automatically routed to healthy veins. The sealed vein will harden and be absorbed by the body, effectively removing the vein without scarring. Depending on the patient’s needs, two or more veins may be treated at once. Patients experience no downtime from this minimally invasive procedure and can return to their day-to-day activities immediately following treatment. It is normal to feel a small amount of soreness in the leg after a few days but patients normally don’t need to take pain medication or use compression stockings. All of our procedures are minimally invasive. If the thought of treatment recovery time or costs is keeping you away from the vein care you deserve, don’t worry. Vein care is more affordable than you might think. Most insurance companies cover an initial consultation, so you can gain a full understanding of your current venous health. You’ll be happy to hear that treatment itself is sometimes covered by insurance as well. Do you want to know if Venaseal, or another minimally invasive procedure, is right for treating your varicose veins? 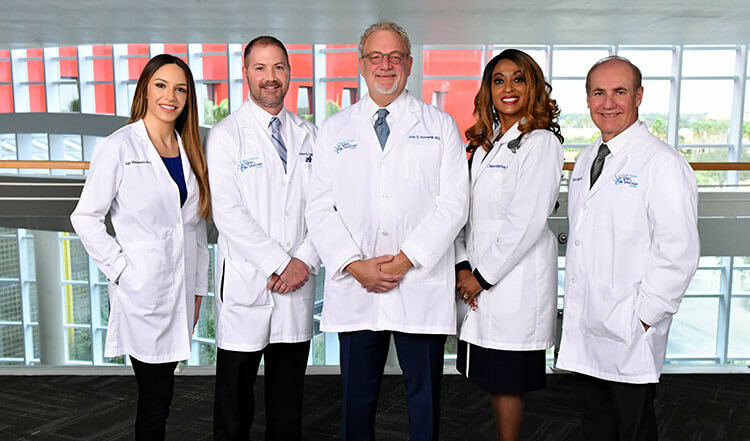 After receiving an initial diagnostic exam, our vein specialists at Central Florida Vein & Vascular Center will be able to discuss the treatment options that would be best for you. To take the first step toward healthier veins, you can call us today at 407-545-3385 or 352-658-5547 to schedule a consultation.